WP Sierra multipurpose theme is the perfect choice for your website and blog. Built with Elementor Page Builder in mind, but also compatible with other favorite page builders such as Beaver Builder, WP Bakery Page Builder (Visual Composer) and more. Multi-purpose WP Sierra theme features many advanced options available right under your fingertips. General features: everything editable via WordPress Live Customizer, fully customizable buttons, custom colors, customizable typography with Google Fonts, 1-click demo import, header overlays, fully responsive and high-resolution screens ready. Blog features: 2 blog archive styles, blog archive header, “Read More” button enable or disable, customizable blog archive header, customizable single post header, “About The Author” section (with image) in a single post, related posts section in a single post, social sharing icons in single post. Header features: 3 header layouts, transparent header option, custom retina ready logo, search icon with enable/disable a feature, fullscreen search form, header hide on scroll Footer features: 2 footer layouts, logo in a footer, 4 widget areas in the footer. 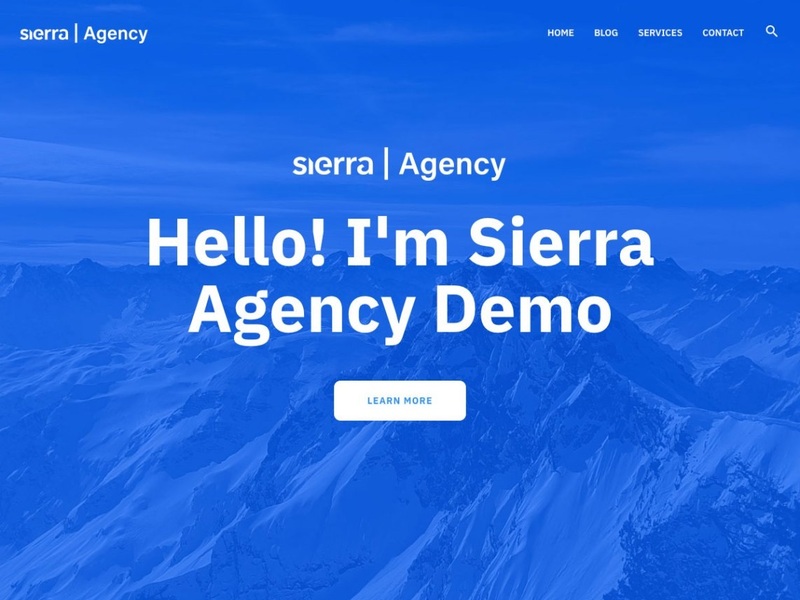 On top of that WP Sierra offers professionally designed demo which you can import in seconds using 1-click demo importer.